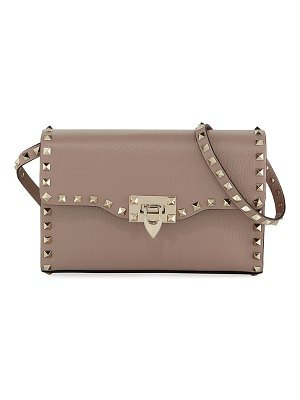 Valentino metallic dyed calf hair (France) and pebbled leather shoulder bag with signature Rockstud details. Golden hardware. Flap top with snap tab. 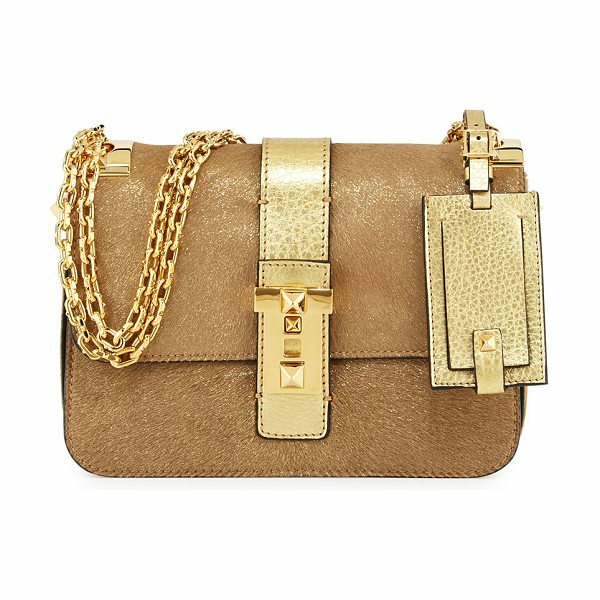 Doubled chain shoulder strap. V plated hanging ID tag. 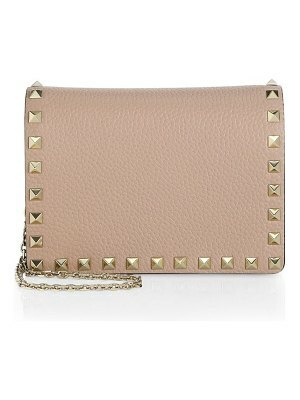 Three-compartment interior; contrast leather lining; one zip pocket. 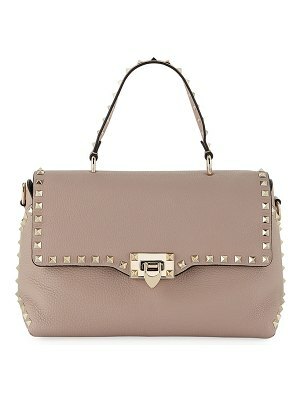 7"H x 9.5"W x 1.8"D; bag weighs 2lbs. Made in Italy.